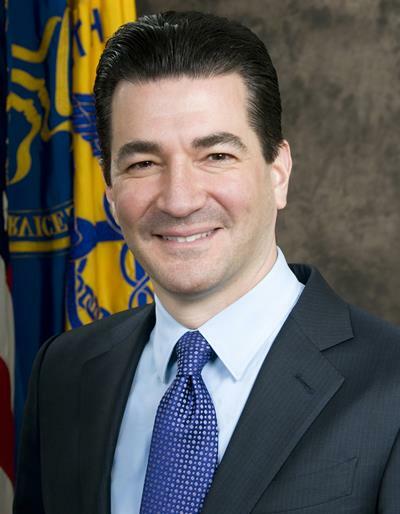 March 5, 2019 -- U.S. Food and Drug Administration (FDA) commissioner Dr. Scott Gottlieb is resigning and will be leaving the agency over the next month, according to multiple published reports. Gottlieb took charge at the FDA in May 2017 and presided over a number of important initiatives, such as the agency's software precertification program, and efforts to streamline the regulation of medical devices, such as a new 510(k) pathway for device clearances. Under Gottlieb, the FDA was also beginning to ramp up an aggressive campaign to more closely regulate the vaping industry, which the agency felt had contributed to a rising incidence of youth smoking. Gottlieb is leaving to spend more time with his family, according to a report by the Washington Post. The administrator of the U.S. Centers for Medicare and Medicaid Services (CMS), Seema Verma, had kind words for the departing Gottlieb. "Scott has been both a great leader as FDA commissioner and a wonderful friend," Verma said. "I am honored and privileged to have had the opportunity to work alongside him and see all that he has accomplished for the American people to spur medical innovation, increase access to generic drugs, and advance many other public health priorities. I join the entire [Department of Health & Human Services] family in thanking him for his service."